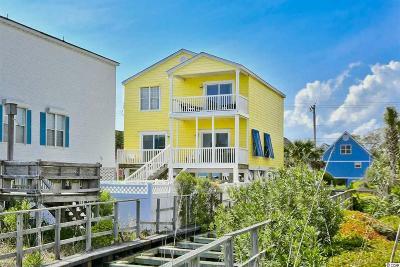 Don't miss your opportunity to own this ocean front piece of paradise located in the heart of Surfside Beach! 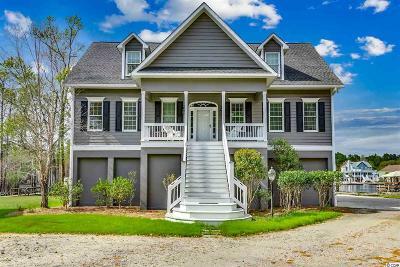 It's not very often an ocean front home with these stunning views of the Atlantic in this pristine condition with this many upgrades hits the market. The open floor plan in the main living area features ceramic tile floors and an upgraded kitchen with granite counters, plenty of cabinet space, and stainless steel appliances including a high end Whirlpool Gold refrigerator. Each of the four large bedrooms has their own bathroom making this floor plan extra functional. There is an additional half bathroom that leads to a large laundry room with washer and dryer. Large balconies off of both floors are the perfect place to relax and enjoy the ocean breeze. The outdoor area includes an ingroud pool, hot tub, and your very own private walkway to the beach. The HVAC was replaced in 2018 and new sliding glass doors were installed in early 2019. This home would make the perfect beach home, primary residence, or vacation rental.